Do you want to have your own horse at Costa del Sol? Do you want to buy a Spanish horse? We help you to elect the right horse and to get all the paperwork correct. Do you already have a horse? We help you with transport all over europe. We offer boxes and training in our facility. High level dressage as well as basic training. Cleaning 6 days a week, concentrates morning and night, hay for lunch, training 4 days a week. 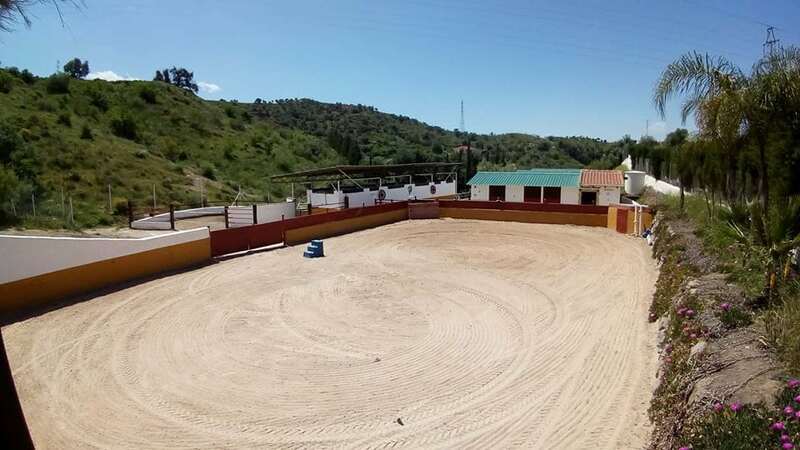 We have a roundpen, obstacles for jumping / working equitation and many posible rutes in the lovely countryside. Price 500 euros / month. When it suits you, you can swap training for one hour private riding lesson for 20 euros / lesson. You can go to your homecountry or on vacation when ever you want and be sure that your horse are in the best of hands.